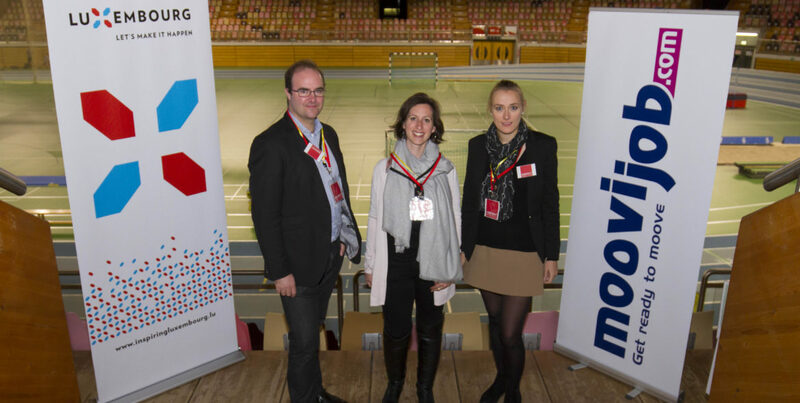 On the 20th of November, ‘escent-Softeam Consulting participated to the 7th edition of the Plug&Work evening in Luxembourg at D’Coque. The event based on an afterwork concept enables recruiters and candidates to meet after their usual working day and to discuss about the available career opportunities. This format of recruitment fair permits informal discussions in a cool and festive environment that reduce the classic recruitment barriers and facilitate communication. This job party focuses on IT and finance profiles. Being represented by three of its fellow employees, ‘escent-Softeam Consulting was there to present the company and the current job offers to potential candidates. Some promising contacts have been established during this evening with job seekers having diverse working experience and backgrounds.